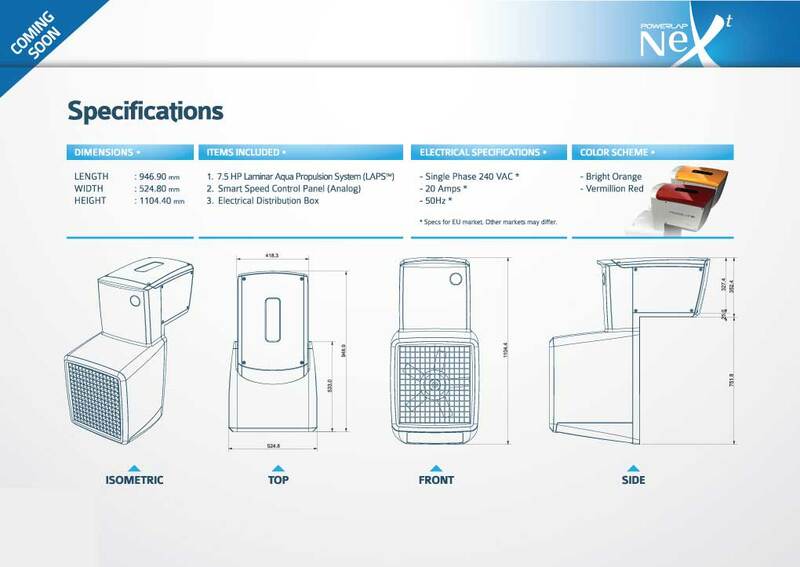 SmartPools® a Fiberglass inground swimming pools company based in Melaka, is driven by a unique patented technology called LAPS™ (Laminar Aqua Propulsion System). 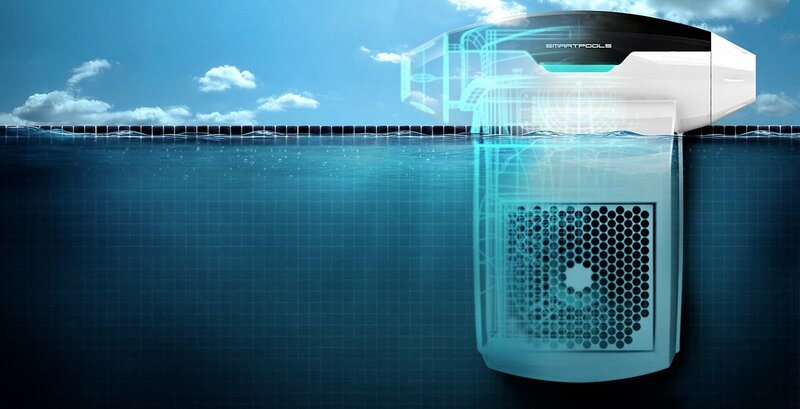 Unlike pressure driven waterjet systems that can only move water at approximately 3,000 to 5,000 litres a minute, LAPS™ successfully displaces/moves up to 30,000 litres at the same time. Fully adjustable, smooth, silent water flow. 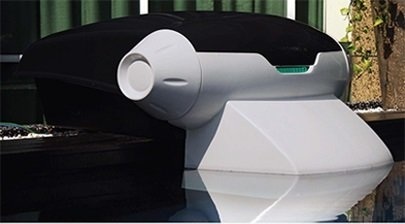 LAPS™ powered by a 7.5 horsepower motor, is uniquely designed and patented with the capability of moving up to 30,000 litres of water per minute at low pressure. This creates a non-turbulent, bubble-free, smooth flow that is fully speed-adjustable, enabling both beginners and serious athletes to swim comfortably. 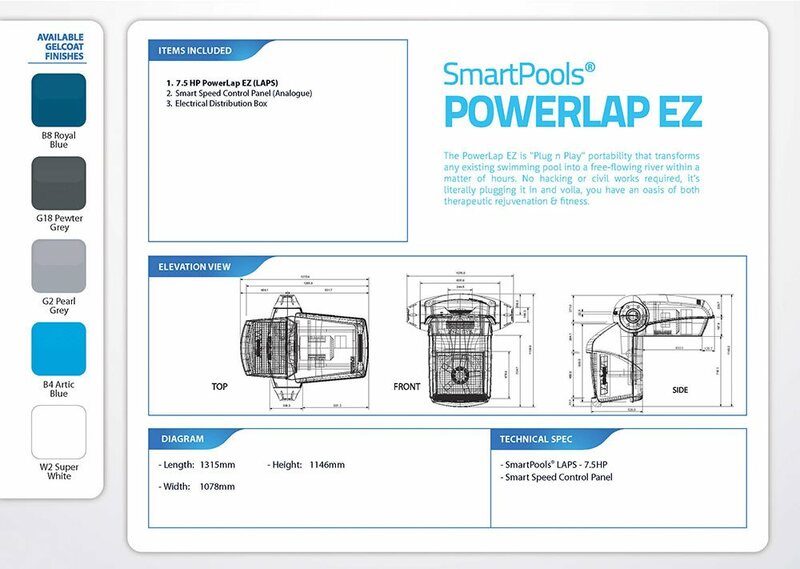 The SmartPools® PowerLap™ meanwhile, makes this technology portable. 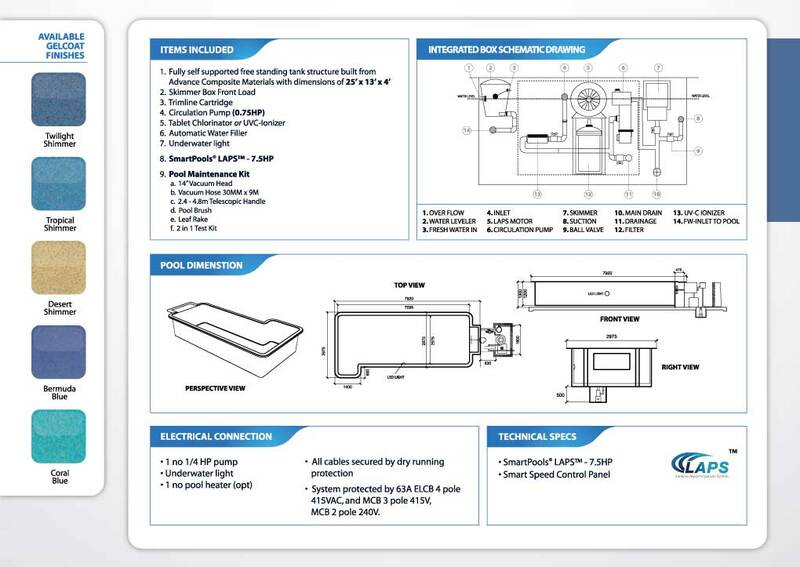 Its “plug & play” feature makes it capable of being easily fitted to existing swimming pools, transforming them into a free-flowing river in no time. 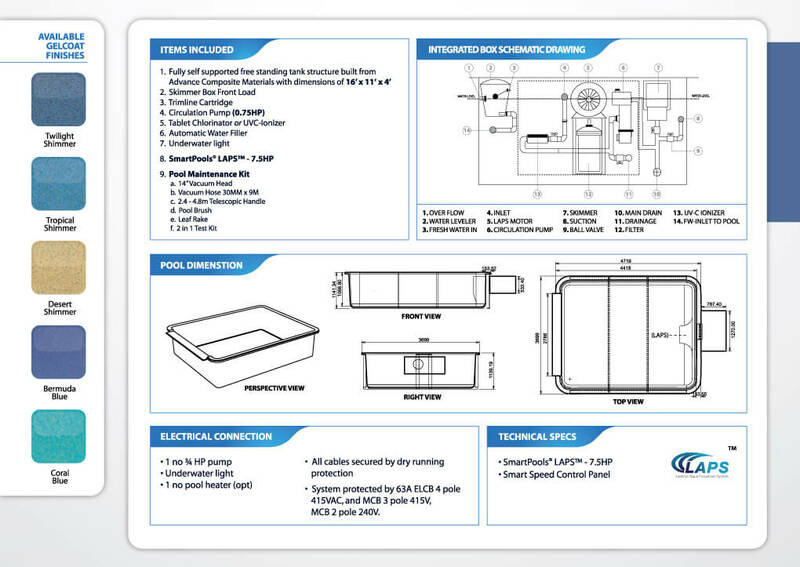 People who are looking for lap pools usually consider a swimming pool that is personal, easy to maintain and space saving. A traditional pool cannot meet these requirements for homes (for both indoor and outdoor pools) because they need a lot of space, work and labour to install and are extremely expensive as well as difficult to maintain. 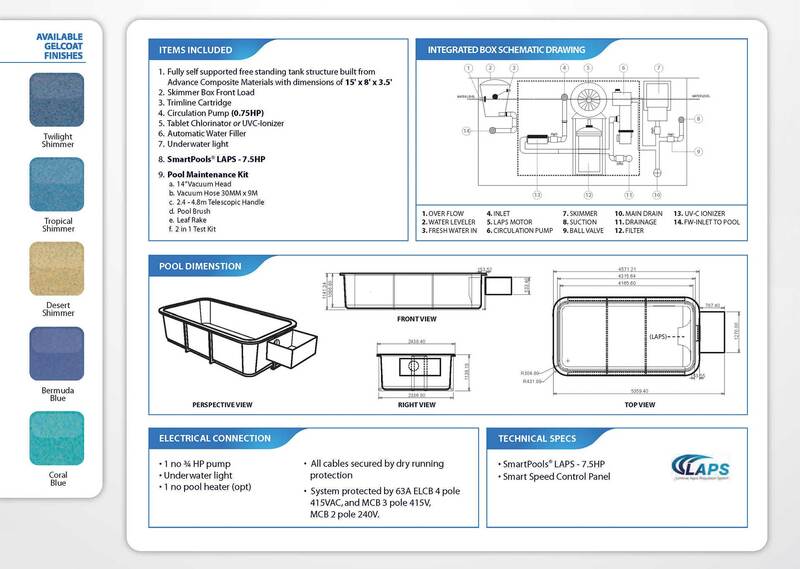 They can cost many times more than the lap pools from SmartPools®. Our lap pools are long and wide enough for a comfortable swim. 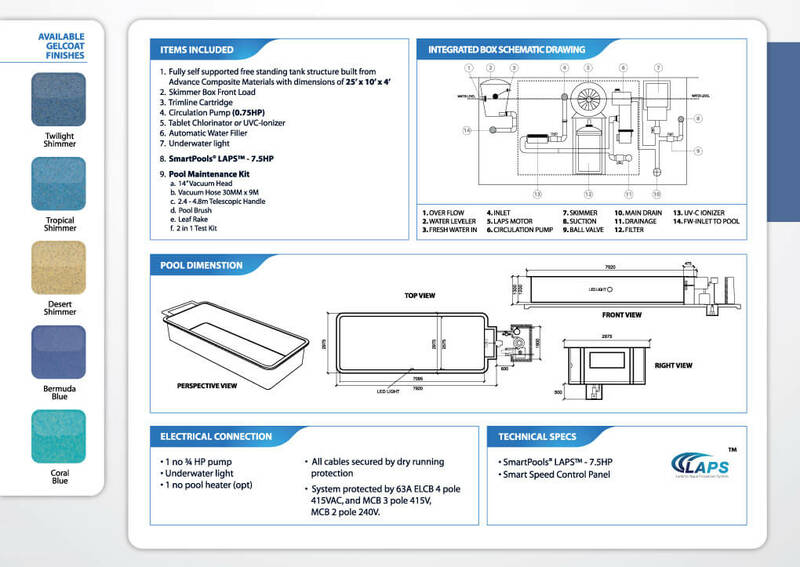 SmartPools® lap pools are one of the most affordable pools available in Malaysia. 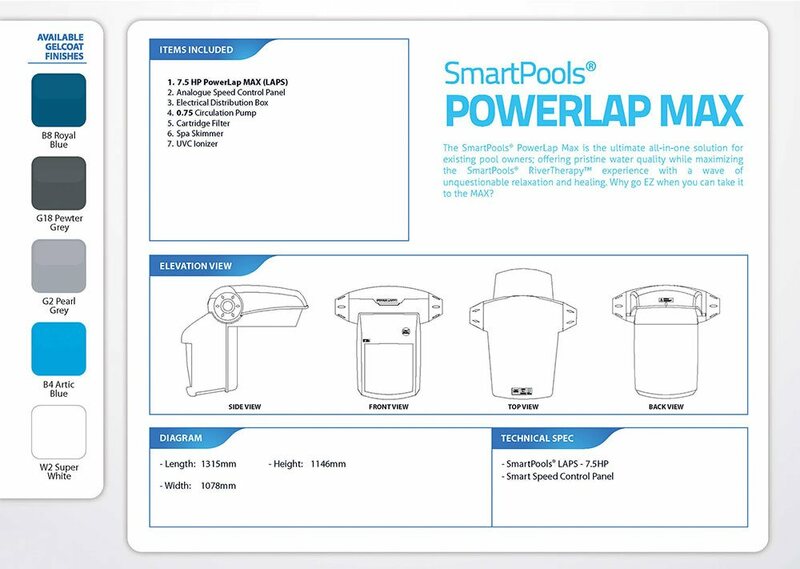 The pools come with Powerlap feature that creates a smooth current with a river like flow. The flow of the current can be adjusted to meet the requirements of the swimmer. The water flow can be set from gentle flow for relaxation and rehabilitative water exercises to high flow for an athlete’s regimen. The flow of the water – no matter at what speed it is set, has a smooth flow with a wide current. The lap pools with the water current feature are great for having fun splashing with kids, exercising, relaxing etc., Having a body of clean water makes the home environment more relaxing and the poolside can also be used for sunbathing or entertaining friends. A good lap pool design needs to be long enough and deep enough for comfortable swimming. 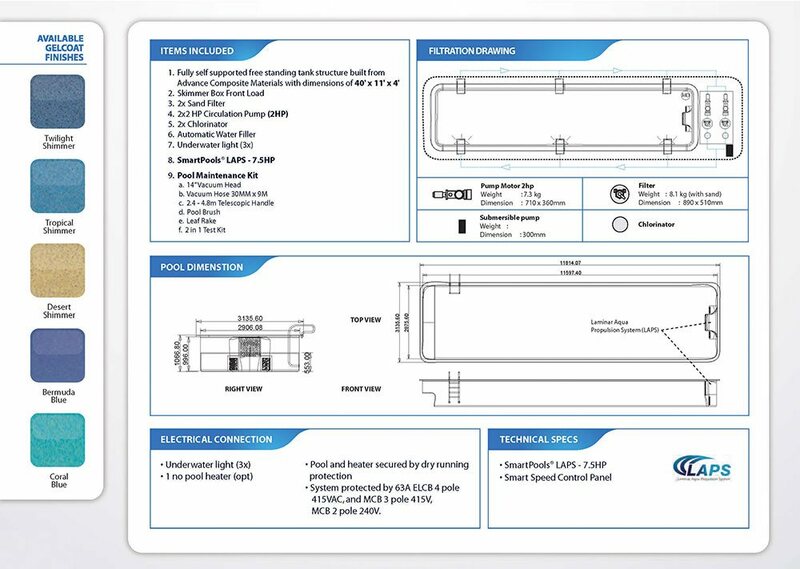 The ideal size of an in-ground lap pool should allow a swimmer to train for competitive swimming – and this criterion is met by SmartPools®. 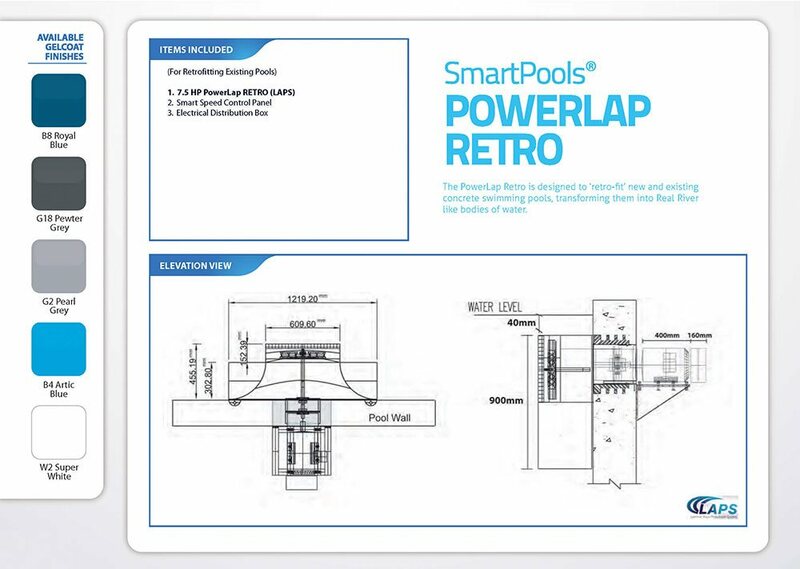 The ideal pool should seamlessly fit in your home and SmartPools® ready-made pools come in different sizes that can meet any space challenge From L shaped pools to long and short ones – they can be installed wherever there is available space. 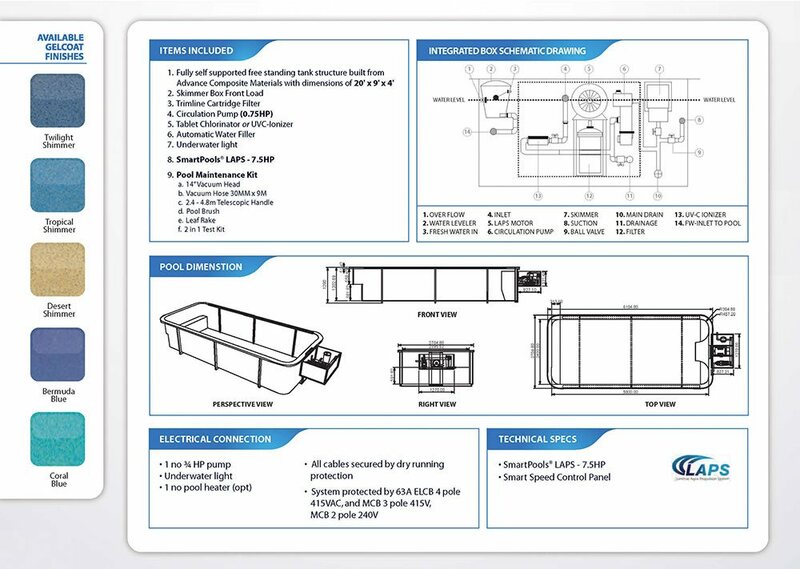 Contact us today for pool installation in Malaysia and to find which one of our inground lap pool can meet your swimming pool needs.